Olive Oil is one of my favorite oils to cook with. But it’s usefulness goes beyond the kitchen. It’s loaded with antioxidants vitamins A & E, and has anti-aging along with antibacterial properties. It’s also extremely moisturizing. Use it as a natural make up remover. It works especially well for removing stubborn eye makeup. You can also mix it with sea salt for an all natural body scrub. 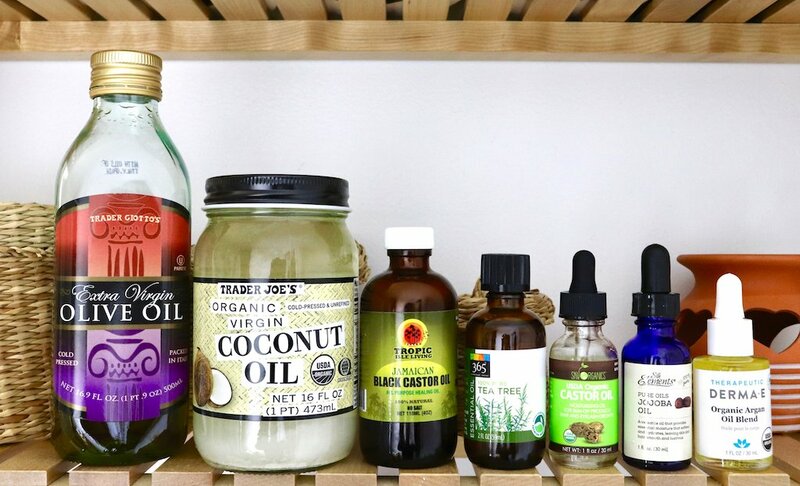 My favorite way to use olive oil in my beauty regimen is as a hot oil treatment. Simply warm it in the microwave for a few seconds, then massage into your scalp and strands. Put on a plastic cap and let it sit for up to an hour, or put on a heating cap for a half hour. Your hair will be super shiny and moisturized when you rinse it out. Coconut Oil is my go to. Not only is the oil edible and great for cooking. But it has anti-aging, antifungal, antiviral and moisturizing properties. Use it to remove makeup, it takes off every trace without leaving the skin feeling greasy. It also makes an amazing homemade whipped body butter when mixed with shea butter. I love to use coconut oil to style my hair using the LOC Method (leave in, oil, cream). After I apply my leave in conditioner, I lock it in with a generous amount of coconut oil before styling my hair with a curl cream or gel. My coils come out super shiny, moisturized and bouncy. Coconut Oil can also be used as a mouthwash to help kill bacteria and minimize plaque. Jamaican Black Castor Oil is loaded with omega-9 fatty acids and has antifungal, antibacterial and anti-inflammatory properties. The oil is amazing for hair as it stimulates growth, cleanses the scalp of toxins and parasites, and helps repair damage and breakage. It’s also extremely moisturizing. Use it as a hot oil treatment. Warm a little in the microwave and massage it into hair and scalp. Cover with a plastic cap and put on a heating cap for a half hour, or sit under the dryer for 10 minutes. If you have thinning edges, massage a small amount into problem areas daily to thicken them up and fill them out. I also use JBCO to lock moisture in my hair the same way I use Coconut Oil. Tea Tree Oil has amazing antiseptic, antiviral, antimicrobial, and antibacterial properties. Add a few drops to olive oil when you do your hot oil treatment to relieve itchy scalp and dandruff. You can also add a few drops to your shampoo to clarify your hair and scalp. Dab a little on pimples with a cotton swab to dry them up overnight. Tea tree oil also dries out cold sores, helping them to heal faster. Use it to naturally heal nail fungus. To sooth bug bites. Tea tree oil is very strong though. If you have sensitive skin or will be using it for an extended time, it’s best to dilute it with a little olive or coconut oil to avoid burning your skin. Castor Oil is rich in vitamins and omega-9 fatty acid Ricinoleic acid, which hydrates skin and has antimicrobial and anti-inflammatory properties. 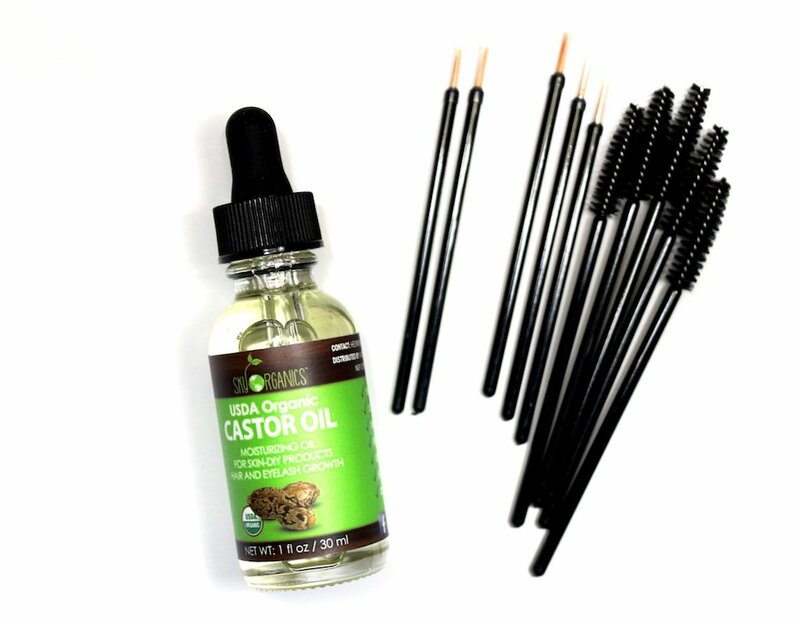 It also stimulates hair growth which makes castor oil great for eyebrows and eyelashes. Apply a small drop to a spooly brush and brush on your brows and lashes before bed. In a few weeks you’ll notice that both are a little fuller. My brows are non-existent, especially the tails since I have a thyroid disorder. Castor oil has been helping tremendously to fill them in a bit. Jojoba Oil closely mimics sebum, the oil that our scalp produces naturally. So it’s amazing for moisturizing, soothing and stimulating the scalp. The antibacterial properties help clear scalp conditions such as dandruff and dryness. The oil makes the hair soft while boosting moisture and shine. 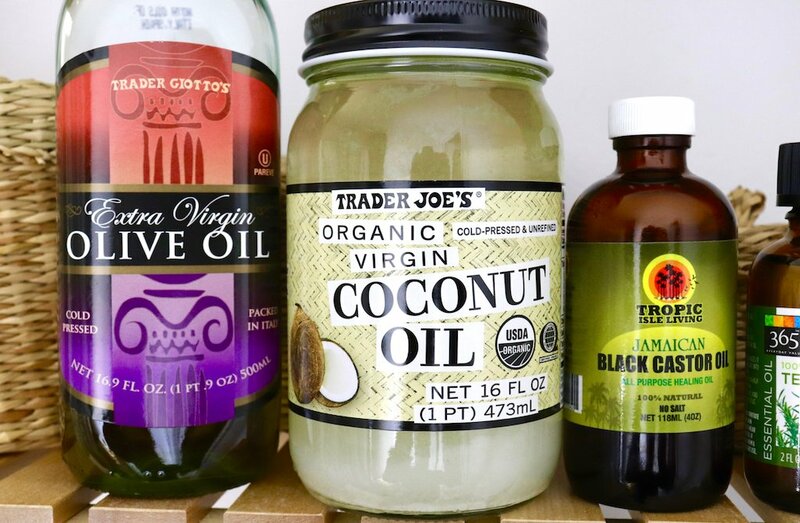 So add it to your favorite conditioner or to your hot oil treatment. It’s also great for moisturizing the skin and dry cuticles. Argan Oil is best known for it’s healing and anti-aging properties. It’s packed with vitamins A & E, omega fatty acids and linoleic acid. It’s a super moisturizer for hair, skin and nails. Use it to repair brittle, split ends. As a heat protectant. To heal cracked heels and grow long nails. It can also be used to treat acne and skin conditions such as dermatitis. And to help prevent stretch marks during pregnancy. 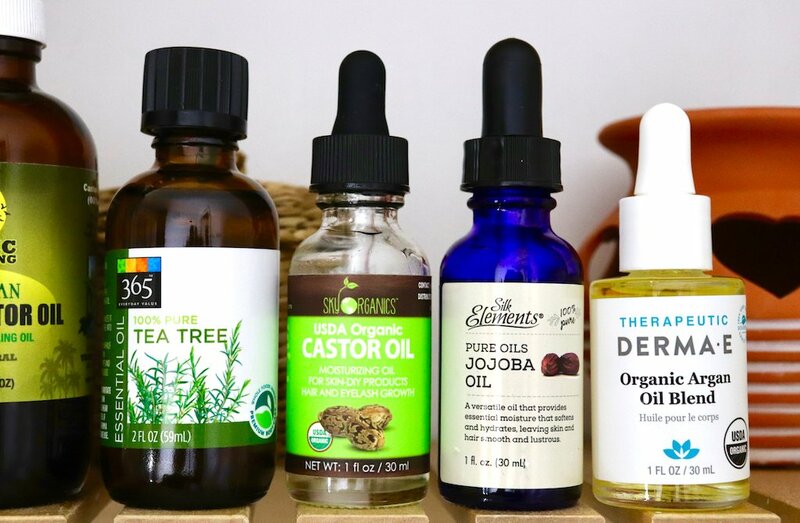 What beauty oils do you have in your arsenal? Some of the products in this post were provided for review consideration. See my Disclosure page for additional information.